I mentioned last week that today’s children know a lot less about Mary, Queen of Scots than their parents or grandparents do. This is why Theresa Breslin wanted to write a picture book about Mary, to help children understand who she was and what happened to her, and why they should take an interest in Mary. Also, as someone said last week, much in Mary’s life was unsuitable for younger readers, because it’s not as if she had a wonderful life. But the imprisonment of Mary, Queen of Scots in Lochleven Castle wasn’t too bleak, in comparison. The book first gives the reader a very brief but thorough summary of who Mary was and what had happened to her, and her husbands, her son, her parents, and so on. Then we find out what happened on that small island in Loch Leven, when Mary was desperate to escape and didn’t know how, and how a young boy came to the rescue and she got ut. Unfortunately, her success didn’t last long, and the rest of her life was a bit downhill, especially after she asked her sister for help. 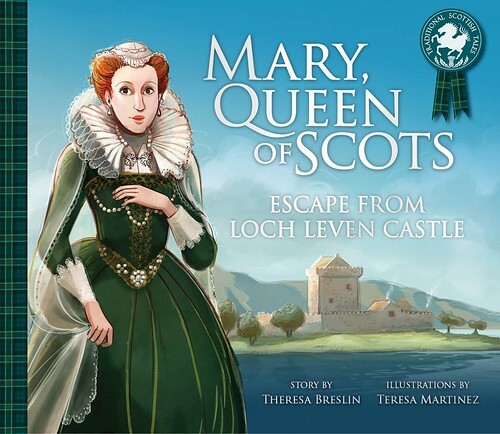 But this short story helps both with understanding Mary’s life, as well as making her into a real person for that brief time at Lochleven Castle. We get to know her, so we learn to care. This is a good way of making history relevant today. The illustrations by Teresa Martinez make Scotland look glorious, and now I want to go and see Loch Leven. Aquarius. Reading about this ship, full of people who have left their homes and countries, and that turned out not to be welcome anywhere, until it was finally permitted to land in Spain. It’s an appalling situation, and one which reminded me of a book I’ve mentioned here several times. I’ve just not gone into detail, or reviewed it, because it’s not available in English, and now I suspect it never will be. 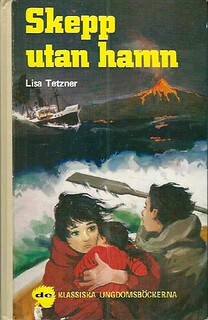 It is Lisa Tetzner’s Das Schiff ohne Hafen, or Skepp utan hamn, in Swedish. Ship with no harbour. Part of a series of books about the children of a tenement in 1930s Berlin, Mirjam and her aunt Mathilde have travelled through western Europe to join a ship that will take them to a new life in South America. They are Jewish, so know they need to leave Europe. The Garibaldi is not a regular passenger ship, but is now full of paying, desperate people, hoping to escape. There are all sorts of passengers, from the wealthy and successful to the destitute, who have already suffered greatly. The children on board make friends with each other, as far as they can, due to class differences and personality. The reasons given are the same we hear today for today’s unwanted. So the ship sails on, along the coast, with a few passengers allowed to enter their new home countries, but the rest have to stay and the ship gets all the way round to Peru before disaster strikes, and only a few of the children make it out alive, [conveniently] finding a desert island [where, in the next book, they try to live and survive]. Rich or poor, no one escaped this fate, and they have to make the best of things. Because this is a series of books shaped by WWII, there is much that is bad in them. But because the series ends after the war, Lisa Tetzner also lets there be much hope and friendship and belief in a new future for all. The last book is an inspiration, like a miniature United Nations. Now, of course, we know a bit more about that as well. But when I first read it, my heart swelled with happiness and pride. Just goes to show how the world works. If I’d written more about this series earlier, it would have been possible to still believe. 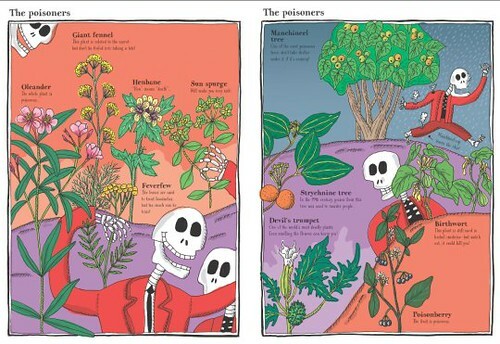 I left it, hoping that someone, somewhere, would translate and publish the books. I also stupidly believed in a basic level of decency among people. Well, it exists, but the waves of hating your neighbour seem to be a necessary evil too. I freely admit to not knowing a lot about Harry Houdini, other than marvelling at his abilities to escape. It seems he had a ‘normal’ childhood as Erik Weiss, and that’s what Keith Gray has written about here, when Erik was eleven. At some point I wondered how Keith knew all these things about the young Houdini, but soon realised that authors make things up. So this might be true, or it might not be. 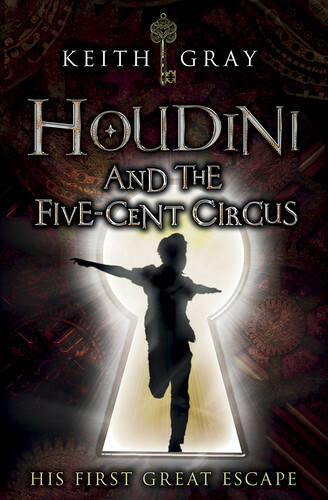 It still gave me valuable background to the great Houdini. Erik’s friend Jack dares him to unlock all the shops in the main shopping street in their little American town. 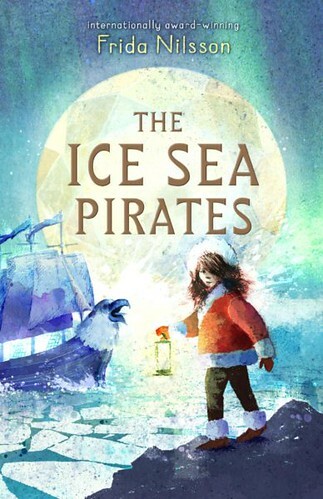 At least in this book, Erik displays autistic traits, so he does as he’s told, and can see nothing wrong with it. Along with their friend Mattie they end up having another couple of adventures, based on Erik’s skill at picking locks, and you can see how he works out the direction he might go in, for some real success. Really enjoyed this early window on someone so famous, reminding me that we all have to start somewhere. Yes, another launch. 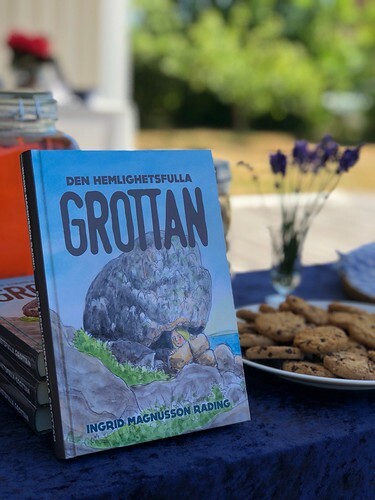 One I didn’t go to, but I had planned my holiday flights before I knew Ingrid Magnusson Rading was thinking of launching her new children’s book Den hemlighetsfulla grottan (The Secret Cave) at midsummer. In the chicken house. That is much better than you might think. 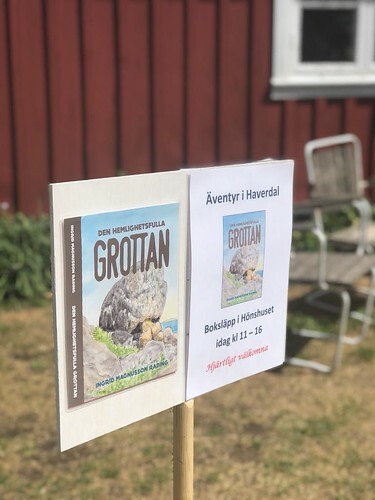 Haverdal, where the book is set, has an old farm which has been restored to be used for public functions, and you can hire all or parts of it. 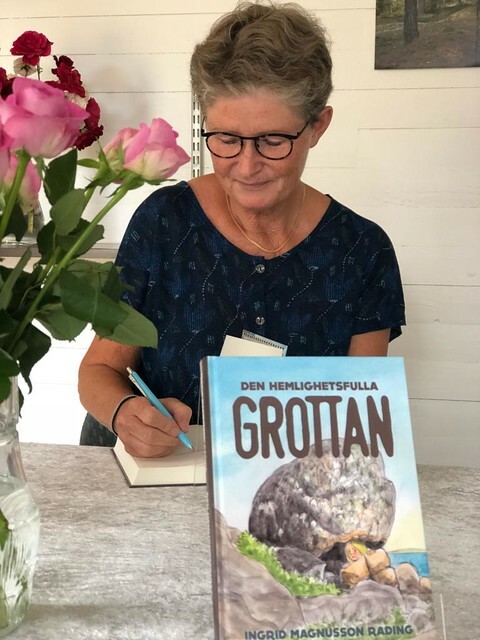 And Ingrid has a fondness for the chicken shed, which is where she launched her first book, the coffee table one about Haverdal. It doesn’t get much more beautiful, or typically Swedish summer, than this. The weather was gorgeous. Naturally. 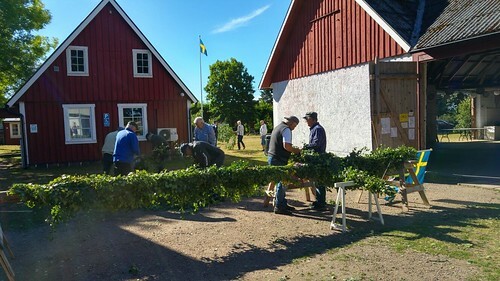 And outside her shed the men put the finishing touches to the Maypole (yes, that’s what it is, even in June). 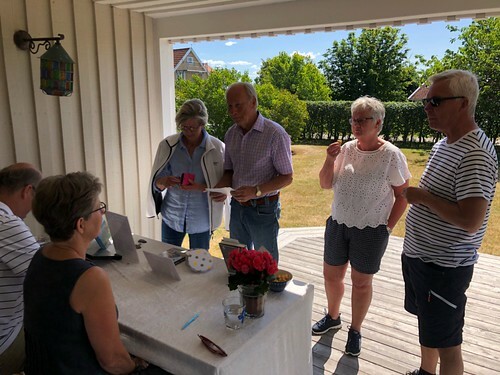 I’d like to think that every visitor who came to dance round the pole, also popped in for a book from Ingrid. On the second day she launched the book some more from her own cottage. They don’t believe in being lazy, these authors. They write and they bake. Mini muffins, since you wondered. And on day two I spied Ingrid’s lavender crisprolls. Recipe in the book. So I’d say there was only one thing wrong with this launch. I wasn’t there.